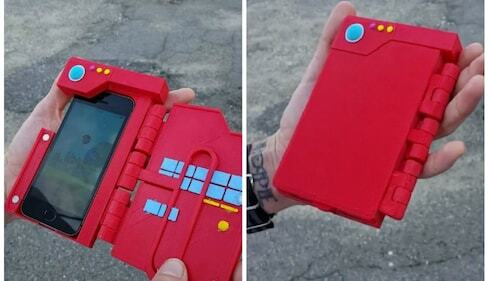 True trainers will want to get their hands on a new cell phone cover that not only protects your phone, but even looks like a Pokédex! 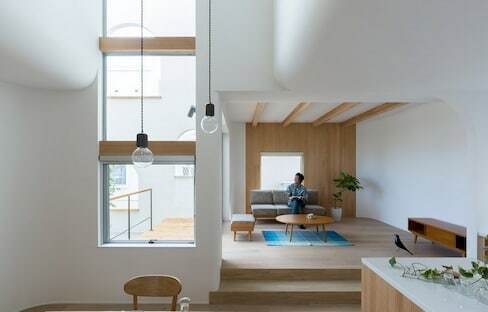 A familyin Japan makes “comfy house” the keyword for the design of their new home. 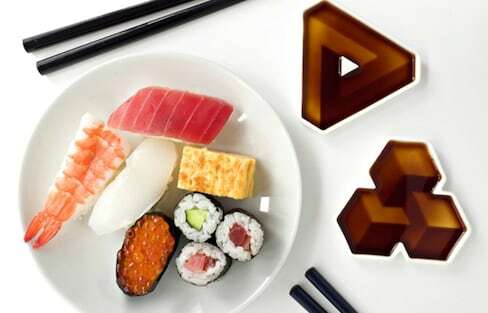 With just a splash of soy sauce, Soy Shapes allow seemingly normal dishes to be rendered into M.C. Escher-style three-dimensional optical illusions. 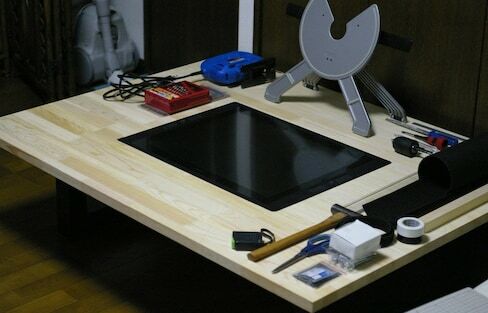 This DIY project by a Japanese animator is complete with an embedded graphics tablet! Not only does this tiny futon hold your smartphone, but it's even bestowed with blessings from the priests at Tokyo’s Anazawaten Shrine. Be a Couch Potato in a Tempura Sleeping Bag! Whether you’re looking for an unusual Halloween costume or a cozy outfit to snuggle up in, this crazy bread-crumbed number will make all your fried food fantasies come true! Kyoto is a great city to look for souvenirs, but personally, we think these 10 shops in Kyoto take the cake when it comes to bringing back a bit of Japan back home with you. If you've ever been to a traditional Japanese home, you've likely seen tatami mats on the floor. But have you ever seen it on furniture?! Get a peek inside the new, posh office of Start Today, one of the largest Japanese fashion companies. The bubble-like meeting rooms and indoor greenery are sure to inspire fresh new ideas! Designer Eisuke Tachikawa presents the evolution of technology as one, astounding, real-life infographic that visually lays out over 100 objects that have been integrated into the iPhone. Once again, Japan’s ¥100 shops prove that they're truly on the next level. Being creative doesn't have to be costly thanks to the numerous ¥100 shops around Japan. One family in Japan saw rainwater not as an unwanted intruder, but simply a part of life that, when controlled, can bring you and your home in tune with nature. Just how old is the oldest Japanese company? You might be surprised to learn that most of the companies on our list date back centuries before the Black Plague! How do you advertise a simple yet satisfying sport? With simple yet satisfying art! The special ink found in this pen conducts electricity, allowing you to draw circuits and create your own illuminated pop-up cities, houses or whatever else your creative mind can dream up! Brought to life by legendary artist Yayoi Kusama, this collaboration brilliantly illustrates the original Hans Christian Andersen classic. A modern, stylish twist on a Japanese classic, these shoes have been redesigned as indoor slippers to keep feet comfy and cool. In Edo-era Japan, several lettering styles known as 'Edomoji' were invented for advertising purposes. One design team wants to bring these characters back.